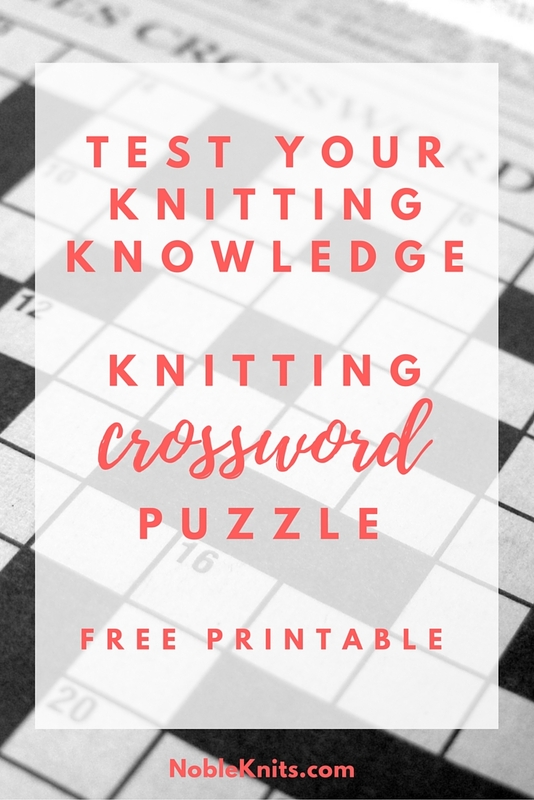 Test Your Knitting Knowledge with a Crossword Puzzle! Feel free to share this puzzle with friends, your knitting group, favorite blog, or website. Please note: the FREE PRINTABLE has two pages. The first page is the crossword puzzle and clues. The second page is the answers. So if you don't want to peek, only print page 1.